Bergamot is a key ingredient of Earl Grey tea. In this delicious dark chocolate bar the bergamot lends a complex mix of sweet citrus flavour notes that combine with a subtle hint of tropical sharpness to complement the rich dark chocolate. 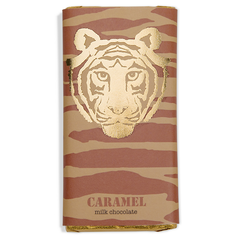 This is a flavour combination that has really earned it's stripes - a bar for chocolate lovers to savour.